died Feb. 8, 1936 Washington D.C.
First (traceable & proven) Native American Indian as Vice-President. Only Native American Kansan as Vice-President or President. First Vice-President to take vice-presidential oath with a Bible. Please help to get a stamp, to honor with a picture of Vice-President Charles Curtis on it. "I believe in the United States of America as a government of the people, by the people, for the people; whose just powers are derived from the consent of the governed; a democracy in a republic; a sovereign Nation of many sovereign States; a perfect union, one and inseparable; established upon those principles of freedom, equality, justice, and humanity for which American patriots sacrificed their lives and fortunes. I therefore believe it is my duty to my country to love it; to support its Constitution; to obey its laws' to respect its flag; and defend it against all enemies." 6) 1877 - Was reporter for "North Topeka Times"
15) 1914 - Returned to United States Senate position by popular election. 16) 1924 - Became 1st Republican Floor Leader of the United States Senate, was presidential hopeful. 20) 1933 - Announced retirement and establishment of residence in Washington D.C.
16) At the time he had more Senate Committee assignments than any Senator has ever before held at one time. NOTE - Charles Curtis did NOT support the "Curtis Act"
This is an overview of Charles Curtis life, along with a little of this web site history of the designer, Please feel free to send any e-mail to me. I would love to hear any feedback! I would appreciate knowing about broken links, what you would like to know about Charles Curtis; I am interested in Charles Curtis memorabilia to collect. Your opinions on what you have seen on this web site, would like to ask questions about Charles Curtis (that you would like to see on the web site) or about me. If you have any questions after reading this web site, or feel that a particular area of his life is not addressed, please e-mail me, I will try to research the answer and place it on this web site. Please, if I have left anybody out in my resources, please contact me AS SOON AS POSSIBLE, so that the proper credit can given. This web site is being updated on a daily basis. Now, that people have found out about this site, I am being flooded with information, that I need to go through with other documentation to verify its authenticity. So, if you haven't found something you would like to know more about, e-mail me, and I will do the best I can to get this information that I know about on this web site as soon as possible. 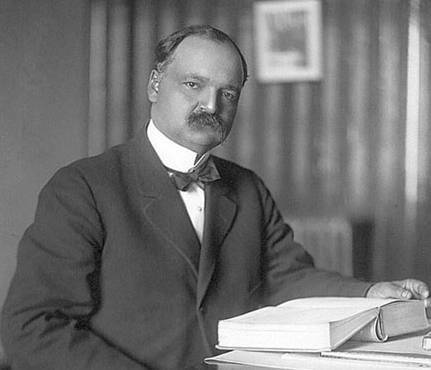 Timeline A: The Indians in Kansas, with Charles Curtis. Timeline B : The timelines of Kansas and the United States, combined with the timelines of Kansa-Osage-Pottawatomi Indians and Charles Curtis. Timeline C - Major events and Famous Firsts, with Charles Curtis. Biography B : Charles Curtis (before going into Politics). This section was published in the Spring 2000 edition of "The Curtis-Curtiss Chronicles"
Politics and Beliefs of Charles Curtis, with a vice-presidential acceptance speech link. Charles Curtis Home - on the Historical Register at 1101 S.W. Topeka Blvd. 1 block south of the Kansas Capitol State House in Topeka, in full view from the south steps of the Capitol, it is truly a treasure of Topeka, if not all of Kansas. Equal Rights Amendment - Senator Charles Curtis, and Representative Daniel R. Anthony, Jr.
Indian's Rights - Letter from "The Bureau of Catholic Indian Missions"
Legacy left by Charles Curtis that is still in effect today. Memorials and donations for memorial of the graves of Charles Curtis and his wife, Annie Elizabeth Baird. See here for pictures of grave, home on DAR historical register, efforts for stamp campaign to get Charles Curtis on a stamp. All Web Site content © copyrighted WorldWide 1998-2016 The contents of this web site are the property of the web site owner and web master. persons who did not identify their sources, therefore this information had to be verified using other sources. Even where the original source is cited, transcription errors are common. All information should always be independently verified by the researcher, from primary source materials where possible. No part of this web site, either in part, or whole, may be reproduced, transmitted or utilized in any form or by any means; electronic, photographic or mechanical, including photocopying, recording or by any information storage and retrieval systems; as well as modify, copy, license, or create derivative works from the same, unless you obtain the web site owner's express written permission in advance. Unauthorized usage of any content without prior written permission is a violation of copyright laws. Please contact the designer of this web site before using any of the contents of this web site. E-mail me Please put Charles Curtis in the Subject line.